In my previous post I said “If you build it, they will come”. And now the ducks are here! Over the weekend, it rained hard in the afternoon. 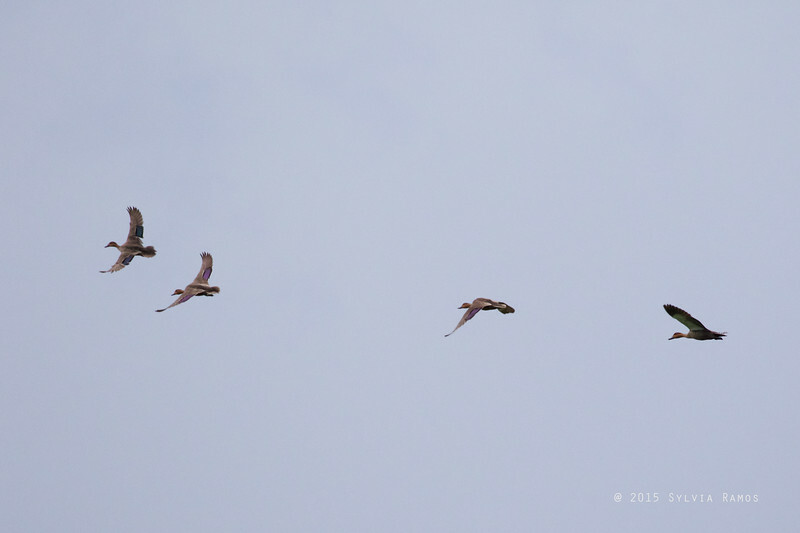 After the rain stopped we saw 4 Philippine Ducks flying around, scoping out the area. I wanted to tell them, “Land here! Nest here! This is a safe place for you!” I’m hoping they noticed all the other birds enjoying the farm. I hope they saw the Orioles feeding in the trees, the Spotted Doves and Red-turtle Doves perched on the bamboo fence, and got the message! 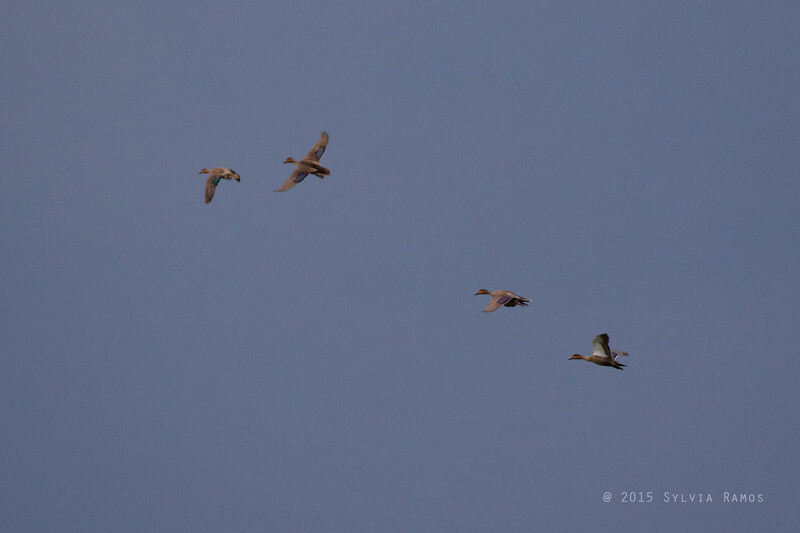 The ducks flew in formation, making big circles around the cottage and pond. 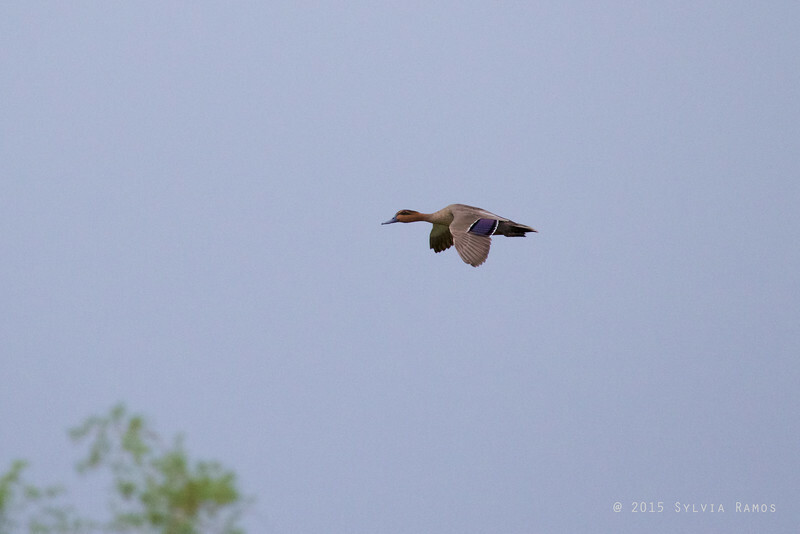 Then one duck headed towards the pond, while the three other ducks flew off. 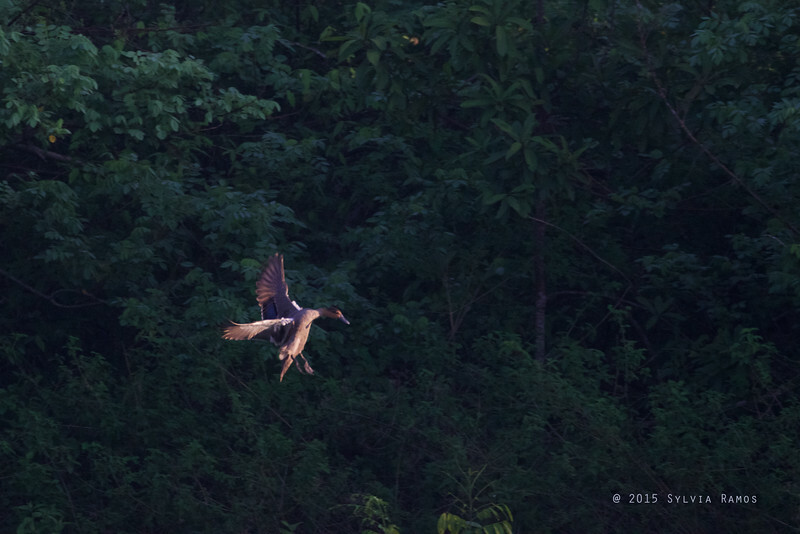 Tonji says that while the 4 ducks were flying overhead, he saw at least 4 other Philippine Ducks already in the pond. He thinks the lone duck saw the other ducks that were in the pond and went to investigate. Then it realized that it got left behind by the others. Whoops, it turned around to follow its group. Yes, birders are like that — we like to come up with bird stories! Philippine Duck Anas luzonica at the farm! We don’t know for sure how many ducks in all are in the area. At least 8? We are purposely staying away from the pond so we don’t spook the ducks. We are making all our observations from the veranda of the cottage and can’t see the pond well from there. 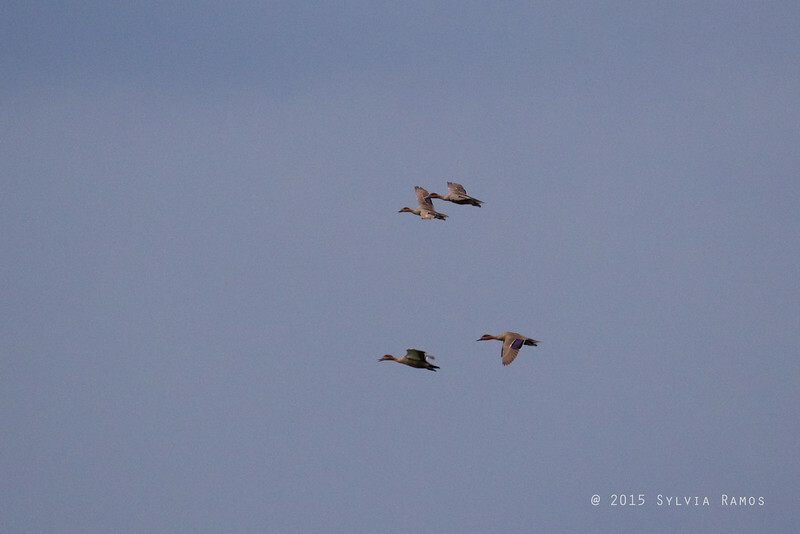 Eventually, we saw the ducks land in the grassy area to the left of the pond. We’re hoping that they nest there. According to the Kennedy field guide, their nests are very well hidden and they breed possibly year round, in any isolated freshwater habitat. Even with all the birdwatching we’ve done all over the country, we have never ever seen young Philippine Duck. I’ve never even seen a picture of an immature Philippine Duck. Maybe we’ll get to see them in our own farm. I’m also thinking that a wildlife camera or “critter cam” might be in order here so we can observe the pond without disturbing the wildlife too much. We could also get a scope, which is a telescope for looking at birds. And then, the ducks flew off again. We are still waiting for a powerful, pond-filling storm. Rainy season is late this year. It is also predicted to be short because of El Niño. Last year we had a lot of rain and there was a pair of Philippine Ducks that looked like they had a nest in one of the fields further away from the house. Picio our caretaker even reported seeing the entire family with ducklings swimming. They were in the dry creek that fills up with water when there’s enough rain. We’ll see what the rest of the year brings. Come back soon, duckies! Lovely pictures! It would be amazing to see them nest near you! I really agree with this line “birders are like that — we like to come up with bird stories!”. So true! Thanks! That’s the dream! About the stories — I think that’s one of the things that makes birdwatching so interesting! Previous Previous post: If You Build It ..